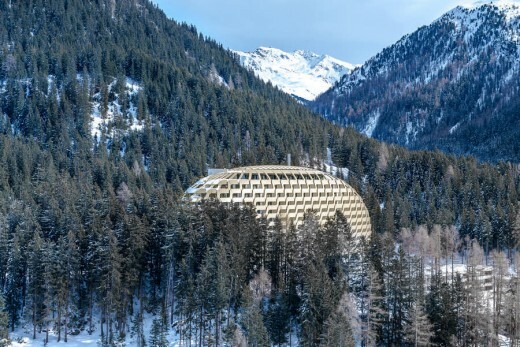 Oliver Hofmeister from Munich-based architects Oikios worked out the underlying idea for the supple yet incisive external form while actually in Davos. 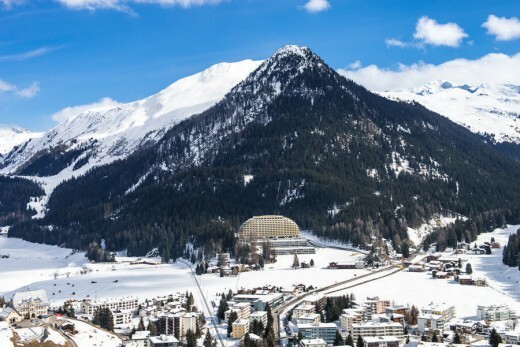 The official name of the parcel of land on which the hotel stands is “In der Stilli” – a name that reflects the tranquil, sheltered surroundings. That peacefulness and security also had to be expressed in the architecture of the building. A pine cone with its smooth scales from the nearby forest provided another source of inspiration. So that is how the hotel got its curving oval envelope. Hofmeister was able to persuade top-notch partners to join him in realising his “organic” design concept. 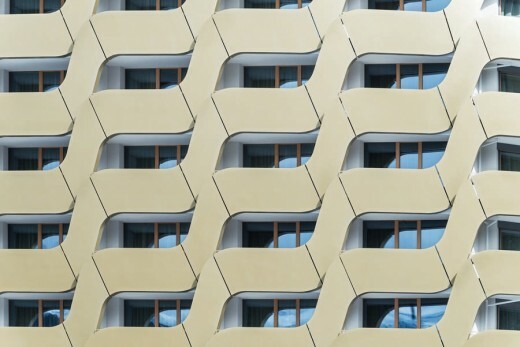 Those partners included designtoproduction, responsible for the complex digital modelling of the façade surfaces and the parameterisation of the façade geometry, structural engineers Wilhelm + Partner and seele, known as a specialist for extraordinary façade designs. 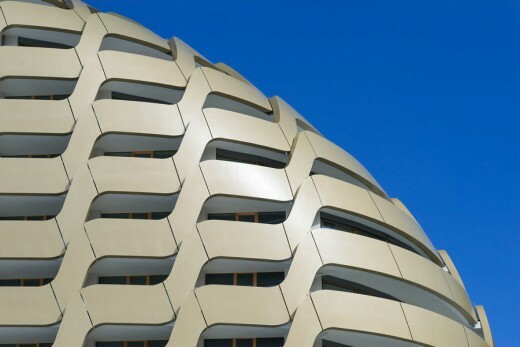 Working closely together, this team developed and built an innovative façade with three-dimensional, curving spandrel panel elements. Seen in the light of the budget available and the high quality demands, many experts had first deemed the façade “unbuildable”. 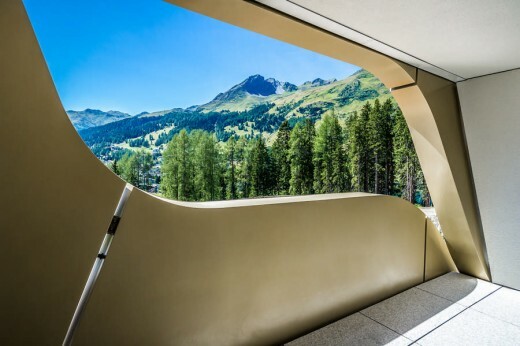 It was seele who contributed what was perhaps the most surprising idea: producing the spandrel panel elements from steel instead of the aluminium originally envisaged. Taking this as its starting point, the team developed a design for the laser-cut primary and secondary ribs which is based on a square. It is this supporting frame – with a main grid identical for all elements – that is responsible for the three-dimensional curvature. 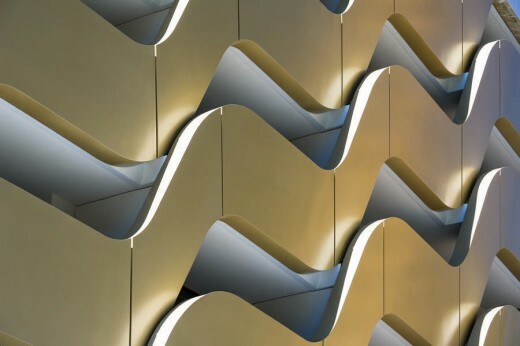 The frame is covered on all sides with sheet steel just 3mm thick, which with its champagne-coloured metallic coating forms the visible surface of the façade on the finished building. The steel construction proposed by seele proved to be less costly than aluminium and less susceptible to changes in length due to temperature fluctuations. Primarily, however, it enabled the intended, original geometry to be realised with great precision, minimum tolerances and the smooth surfaces specified in the design brief. At the same time, the ribs of the supporting structure allowed a totally new concept for the structural fixings and the transfer of the loads to the floor slabs at each storey. 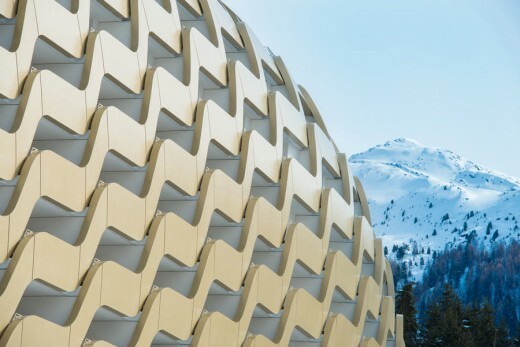 The challenge that faced the team in the production and erection of the elements was mastering the logistics for 791 spandrel panel elements – more than 62,000 individual pieces including the dome crowning the hotel. Such numbers can only be managed by automated procedures in design and the preparation of fabrication drawings. All the architects’ requirements were incorporated in a parameter-controlled script by designtoproduction. The 3D model of the façade geometry was adopted by seele and imported into programs, some of them developed by seele, for producing the fabrication drawings and laser-cutting data. But not only that, the 3D data could also be used by Wilhelm + Partner in Stuttgart for their detailed structural calculations. Every spandrel panel element is unique. However, each has an identical, square, steel rib construction, so the elements could still be produced very economically according to a modular system. In terms of the manufacturing precision, the individual elements (in standard sizes of about 1.6 x 4.5m and special sizes up to 14.6m long) are comparable with pieces of furniture – and were handled with similar care! Every façade element had its own bespoke transport frame so that it could be safely transported to Davos by road from the production plant in Plzeň in the Czech Republic. Façade specialist seele was able to draw on the planning and research work of the design team. Between building the crucial mock-up in the alternative steel design and the final handover of the façade in October 2013, the entire project, involving detailed design, production and erection, took only two years.